In recorded history, Billy Dixon was known for his incredible shot at Adobe Walls, located in the Texas panhandle. At approximately 1500 yards, Dixon, in June of 1874 with a Sharps rifle, made what was probably the most famous long-range shot ever recorded. In the late 1800’s before baseball, football were national sports, target rifle matches were the most popular sporting events amongst society. On Sundays, men and women would dress in their best attire to attend these long-range target matches. 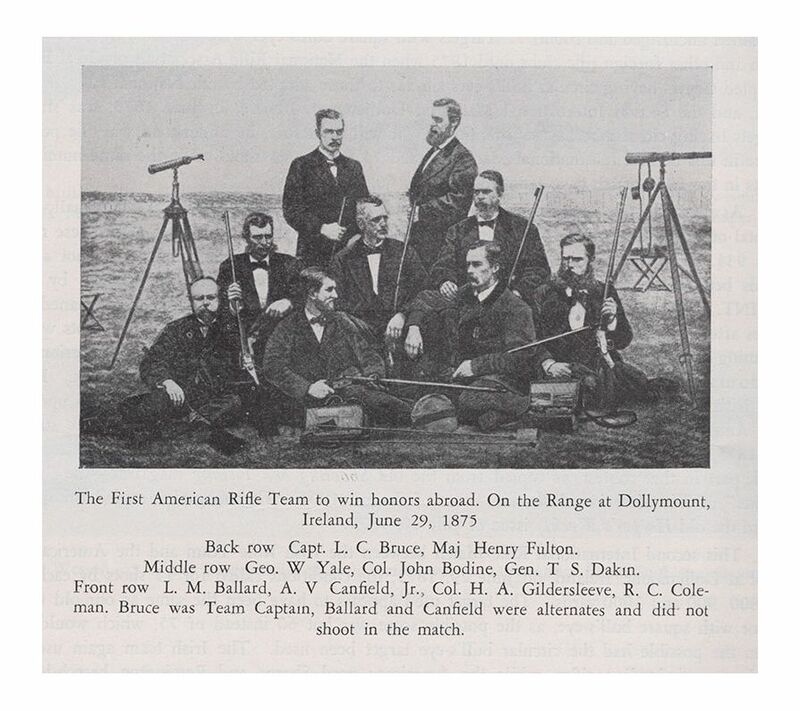 In 1874, one of the most famous and oldest precision matches ever held was the first Creedmoor Long Range match between the team from Ireland and the newly-formed NRA team from America. The sport of long-range shooting was catching on in Great Britain, Scotland, and Ireland. In England, at the Wimbledon Range, 800, 900, and 1000-yard matches, called the Elcho Shield, took place. In 1873 the Irish team won the match and they immediately challenged the Americans to a long-range match to be held in the USA the following year. The Americans accepted the challenge and began the search for a place to build a rifle range for the upcoming match. On Long Island in New York, there was an old worn-out farm called Creed’s Farm named after the family who originally owned the place. The land was scraggly and foggy resembling the moors of England and Scotland. Due to the resemblance they began referring to the old farm as Creed’s Moor. The name stuck, and the newly constructed range, complete with a railroad line out to the range, became known as the Creedmoor Shooting Range. In 1874, over 10,000 spectators, many of them Irish immigrants, attended the match at Creedmoor. Telegraph operators attending the match reported the results of each shot fired. The Americans won the trophy, taking it away from Ireland, but only because one of the Irish team fired a shot on the wrong target. As such the win was considered to be a bit of a hollow victory. A year later the Americans traveled to Ireland to compete in a re-match. It was said to have 30,000 spectators attending the matches rooting for the home team but the Americans won again. They were shooting at a target that was 12 feet wide with 4 foot wings and a 30” square. This match is what started Palma shooting, which consisted of 15 rounds per target, 800, 900 and 1000 yards. In the late 1880’s – 1890’s the Palma match along with the NRA went dormant. Around 1901 both the NRA and Palma shooting would come back. I found an article in the Harpers weekly newspaper of July 24, 1875, reporting that Colonel Gildersleeve of the American team and Lee of the Irish team were tied 19 to 19. It was the 1000-yard match and if you made misses, you were made to retire in accordance with a rule that stated, “Any man who misses the target must withdraw.” Messrs, Bodine, Dakin, and Coleman of the American team made misses. The tie between Gildersleeve and Lee was then to be shot off. They agreed that the shoot-off would be three shots apiece. After the first round of shots, they were still tied. They began to shoot off on their 2nd round of three shots. Gildersleeve managed to score three bull’s eyes worth a score of 12 points; Lee scored only 10 points. The American team won the match outright with a score of 39 against Irish team’s score of 38. The Hundred Guinea Cup, presented by the London Dramatic News, was won at Dollymount on July 3rd, by Colonel Gildersleeve of the American team. Over a century later, long-range matches, using the same type of rifles as in the late 1800s, are being held around the world. Some competitors are still using original rifles passed down over the decades. The heritage of Creedmoor Shooting along with the pungent odor of black powder smoke wafting through the air lives on today. We here at Shiloh are privileged to be a part of this great heritage and shooting sport. It is important that we as shooters educate new shooters and help this sport to continue to grow so as not to repeat history and the sport go dormant. The American Flag is a symbol of pride and freedom for all Americans and represents the many lives lost throughout our history for us to be the nation we are today. Our American flag when looked upon should make us remember our beloved soldiers, men and women who have fought and lost their lives for us. When our National Anthem, The Star-Spangled Banner is played, all Americans should stand at attention in respect for those who fought and are still actively serving our U.S. Military. U.S. Federal Statute (36 U.S. Code 301 National Anthem) says we should face the flag and stand at attention with the right hand over the heart, remove our hats and not talk during the playing of our Anthem. Nowhere does it state that it is okay to kneel and protest. There is a time and place if you feel the need to protest but NOT during our National Anthem, Pledge of Allegiance and raising and lowering of our American flag. You are doing nothing but being disrespectful to our Veterans who have served and are still serving. We the people need to remember the only reason you have that right to kneel is because of our Veterans who fight and those who have died to protect our flag. We as elders and the next generation need to start setting the example and not be afraid to fight back. Our History MUST not be lost and erased from our school books. Shame on those who are supposed to be representing us in the White House. It makes me sick to see what is happening to this beautiful country. President Donald Trump stated, "It is time to remember that old wisdom our soldiers will never forget: that whether we are black or brown or white we all bleed the same red blood of patriots, we all enjoy the same glorious freedoms, and we all salute the same great American flag." This year’s catalog is dedicated to our men and women in law enforcement and to those who sacrifice their life in the line of duty! From the police/sheriff’s officers, firefighters and our military, to the dispatchers who answer the call and maintain calmness through it all. 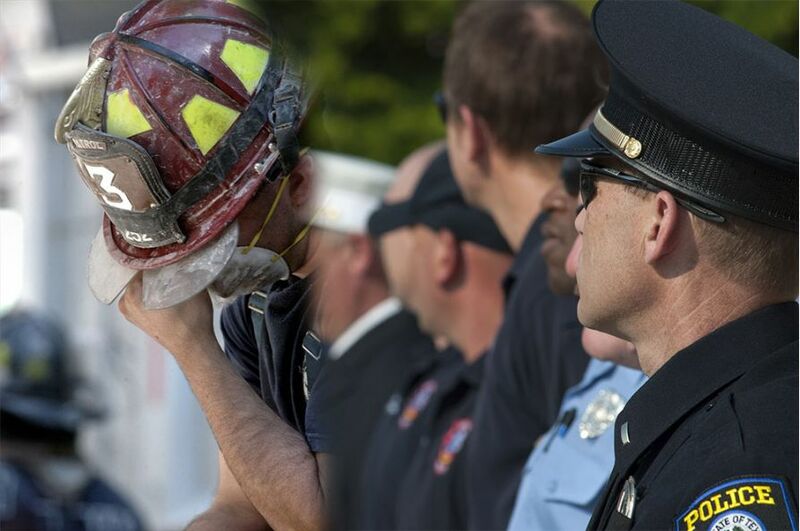 May this country never forget why we have our freedoms and who answers when we call 911: the men and women who come to your rescue at all hours of the day and night. they're always there for you. or taking bad guys away. of saving lives each day. to do the job they do. remember, that they do it all for you. 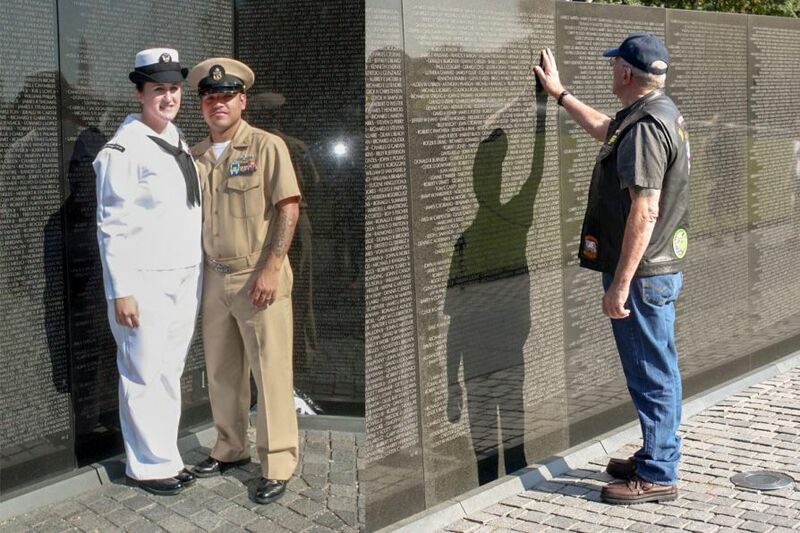 our veterans pass you by. and wave your flag up high. Welcome to our silver edition of the 2016 Shiloh Rifle Catalog. This Company originally started in 1976 in Farmingdale New York on one man’s dream! To re-create the sharps rifle and to be the ONLY company in the world whose parts interchange with the original and that was accomplished. Shiloh Rifle then moved to Big Timber Montana in the mid-80’s where the work continued. 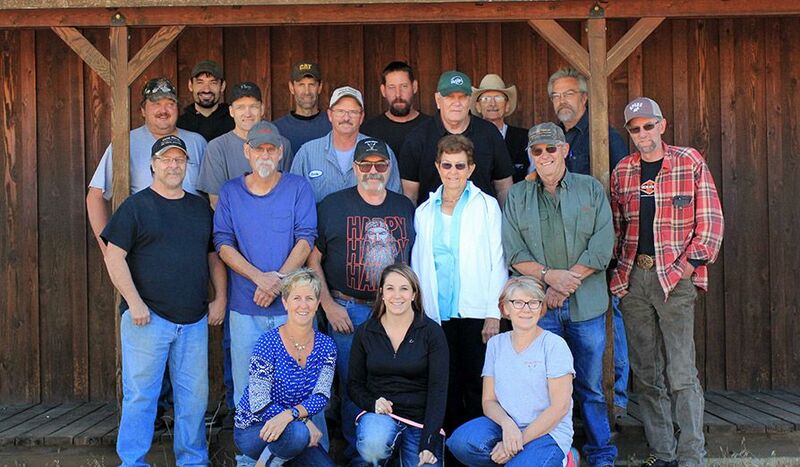 On April 1st, 1991 the Bryan family purchased Shiloh Rifle and officially took it to the next level of manufacturing! In 1993 Shiloh rifle added 3000 square feet to its existing building which created our new showroom, sanding room and accessory department. Our goal was to increase productivity without losing craftsmanship and to eventually build our own Foundry, which was the last step in everything being manufactured in Big Timber. Boulder River Foundry with the help of our partner Randy Rembold, came alive in 1996 as our investment casting company. Boulder River Foundry, does all of the casting of parts for our rifle and then are delivered next door where the Shiloh crew continues to a final and completed rifle. In 2014 we unveiled our newest production sharps to the line, the 1877. Those of you who know us as a family, know who we are personally and what we stand and believe in. This year’s cover represents who we are as a business and family. We have not forgotten our veterans because without them we would not have our freedoms to own a business, voice our opinions, speak or think as one wants without hesitation. We want to give a big thank you to all of our customers who have believed in us and have supported us from the time this company started and to our longtime friends, that we have met on our 25 year journey thru shooting, gun shows and ordering rifles, we want to say thanks and we look forward to another 25 years with all of you. Ronald Regan stated: "Freedom is never more than one generation away from extinction. We didn't pass it to our children in the bloodstream. It must be fought for, protected, and handed on for them to do the same, or one day we will spend our sunset years telling our children and our children's children what it was once like in the United States where men were FREE. "America is at a very crucial point for all Americans. Regard less of being Democratic, Independent or Republican, the fact remains that our beautiful country is under severe attack. To put your head in the sand and say it will never happen on U.S. soil, is being naive and uninformed. Remember 9-11? We have already been attacked on American soil and continue to be attacked. It is sad when someone is asked who Joe Biden is and they shrug their shoulders and say, I don't know, a singer?? Unfortunately, there are parents, teachers, etc. not teaching our children about how we became the United States and why we have our freedoms. Our Freedoms did not come from standing on the side line loving everyone and letting the government take care of us. This statement is not to be arrogant, but our society forgets that their freedoms and rights (which always seems to be infringed upon) came from our Constitution and Bill of Rights, which our military fought and died for. These freedoms came from death, blood and fighting. When one decides to desecrate our flag or put another flag above our flag, wanting to remove the National Anthem out of schools, etc., then that same family or person is welcome to just pack their bags and leave this beautiful country. Good luck finding another country that will allow you to express those same kind of sentiments about their country. Below is a little history that is being lost and not taught to our children. According to records, (U.S. history.org) three members of a secret committee from the Continental Congress, George Washington, Robert Morris and George Ross approached Betsy Ross approximately May 1776. She had embroidered ruffles on shirt bosoms and cuffs, hence the reason she had been approached to make the flag. Betsy Ross finished the flag in late May or June of 1776. In July, the Declaration of Independence was read aloud for the first time. Celebration began and the announcement of the birth of a new nation was shared. It was said by an unknown Author "If you are ashamed to stand by your colors, you had better seek another flag." Our Pledge of Allegiance was written in 1892 by Francis Bellamy and was published in The Youth's Companion on September 8th, 1892. "I pledge allegiance to my Flag and the Republic for which it stands, one nation, indivisible, with liberty and justice for all." This was the original version and in 1932 the words "the flag of the United States of America' were added. In 1954 President Eisenhower encouraged congress to add the words "Under God." This was due to the Communist threat at the time. The original Francis Bellamy salute in 1892 began with a military salute during the Pledge and just as the words "To The Flag" were spoken the arm was extended toward the flag. During World War II the salute looked so much like the Nazi salute, that it was changed to keep the right hand over the heart throughout the whole pledge. The removal of what is known as the Bellamy salute occurred on December 22, 1942. The history behind our U.S. flag and Pledge of Allegiance is something people need to remember. She flies during all wars, bad weather or good weather. The flag is seen on all Military bases, atop of our buildings and yes, the moon! Neil Armstrong July 20th, 1969. So when you close your eyes at night and tuck your children into bed, remember the people who have and who is currently serving our Armed Forces. The veterans whose lives have been lost and the families they have left behind fighting during war, yet also protect us during peacetime so that we all can be safe! Everyone needs to remember that our Veterans work for our President and government. They do not just wake up and decide to go to war. All Veterans deserve our utmost respect and a Thank you. They make bigger sacrifices than you will ever know and understand. Samuel Johnson was correct when he said, "Great Works are performed not by strength but by perseverance." Kirk, Randy R., Norene, Chad, Dad and our crew did just that. Shiloh Rifle is very excited to bring out another piece of Sharps history to be added to the collection! The long awaited Shiloh 1877 Sharps! The Shiloh Model 1877 is every bit as beautiful and historically correct as our rifles are now. We have been working since 2011 building fixtures and making sure that everything is just right before we unveiled our newest addition to the Sharps family. I am excited to share some of the photos of the steps taken to build this rifle. In April 2013 the first 1877 was produced by Shiloh Rifle and Kirk shot it at the Texas State Silhouette match. Upon our return, we began work on the pistol grip 1877 in Turkish walnut. Chad began to build a pattern and carve the stock and fit the new parts. Kirk started in on the barrel and custom features and Dad had to start making the screws. Suzi, our engraver has worked up new patterns for this model. As you turn to page 12 you will see the rifle and the custom features and calibers being offered ONLY on this rifle.